Properties in Hidden Dunes average 4.5 out of 5 stars. Private Caribe Cottage with Private Beach Access. Includes Bicycles! Property 1: Private Caribe Cottage with Private Beach Access. Includes Bicycles! Great May Rates at Hidden Dunes Resort Renovated 2BR2BA Cottage Poolside. Property 2: Great May Rates at Hidden Dunes Resort Renovated 2BR2BA Cottage Poolside. Paradise At Hidden Dunes - Reduced Late summer Rates!! Property 7: Paradise At Hidden Dunes - Reduced Late summer Rates!! 15% Off Spring! 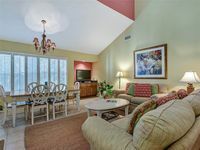 Stylish GULF FRONT 2BR Hidden Dunes, Pool, Beach Chairs Incl. Property 9: 15% Off Spring! Stylish GULF FRONT 2BR Hidden Dunes, Pool, Beach Chairs Incl. ON the BeACh!Amazing Gulf Front. WiFi. AC. Free Beach Set-Up! Property 11: ON the BeACh!Amazing Gulf Front. WiFi. AC. Free Beach Set-Up! Stunning Oceanfront View! Beach Service Included! 5 Star. Gated Community! Property 15: Stunning Oceanfront View! Beach Service Included! 5 Star. Gated Community! GULFSIDE 1003! OPEN 5/18-25 ONLY $2414 TOTAL! FREE BEACH CHAIRS&UMBRELLA! Property 16: GULFSIDE 1003! OPEN 5/18-25 ONLY $2414 TOTAL! FREE BEACH CHAIRS&UMBRELLA! UNIT 206. OPEN 5/18-25 NOW ONLY $1581 TOTAL! GREAT RESORT AMENITIES! Property 19: UNIT 206. OPEN 5/18-25 NOW ONLY $1581 TOTAL! GREAT RESORT AMENITIES! UNIT 193. OPEN 5/18-25 NOW ONLY $1344 TOTAL! BOOK ONLINE AND SAVE! Property 21: UNIT 193. OPEN 5/18-25 NOW ONLY $1344 TOTAL! BOOK ONLINE AND SAVE! 15% OFF Spring Dates! - Discount already refected in rates! Property 22: 15% OFF Spring Dates! - Discount already refected in rates! GULFSIDE 706! OPEN 5/18-25 NOW ONLY $3070 TOTAL! GET MORE BEACH TIME! Property 24: GULFSIDE 706! OPEN 5/18-25 NOW ONLY $3070 TOTAL! GET MORE BEACH TIME! Amazing Gulf Views~With Beach Chair Service 3/1-11/30~Perfect for Sunsets!! Property 27: Amazing Gulf Views~With Beach Chair Service 3/1-11/30~Perfect for Sunsets!! Updated 2-Bedroom Cottage! Book for Spring Break, Fills up Fast! Property 31: Updated 2-Bedroom Cottage! Book for Spring Break, Fills up Fast! Multiple Pool Access in this Gated Community! Private Tennis Courts! Property 32: Multiple Pool Access in this Gated Community! Private Tennis Courts! Complimentary Seasonal Beach Service! On-Site Check In!! Property 34: Complimentary Seasonal Beach Service! On-Site Check In!! UNIT 196. OPEN 4/6-13 NOW ONLY $1101 TOTAL UPDATED! LOTS OF RESORT AMENITIES! Property 35: UNIT 196. OPEN 4/6-13 NOW ONLY $1101 TOTAL UPDATED! LOTS OF RESORT AMENITIES! Just Steps to the Pool! View of Serene Fountains from Screened In Porch! Property 36: Just Steps to the Pool! View of Serene Fountains from Screened In Porch! BEACH COTTAGE 227! OPEN 5/18-24 $1460 TOTAL! CLOSE TO POOL/TENNIS/BEACH! Property 38: BEACH COTTAGE 227! OPEN 5/18-24 $1460 TOTAL! CLOSE TO POOL/TENNIS/BEACH! UNIT 187. OPEN 5/18-25NOW ONLY $2116 TOTAL UPDATED! LOTS OF RESORT AMENITIES! Property 40: UNIT 187. OPEN 5/18-25NOW ONLY $2116 TOTAL UPDATED! LOTS OF RESORT AMENITIES! Features a Spacious Loft Area & a View of the Pool! On-Site Check In!! Property 41: Features a Spacious Loft Area & a View of the Pool! On-Site Check In!! 15% Off Spring! Unsurpassed Beach Views! Beautiful decor w/Beach Chairs Incl. Property 42: 15% Off Spring! Unsurpassed Beach Views! Beautiful decor w/Beach Chairs Incl. GULFSIDE 702! OPEN 5/18-25 NOW ONLY $2414 TOTAL! BOOK ONLINE AND SAVE! 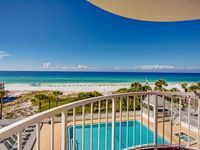 Property 45: GULFSIDE 702! OPEN 5/18-25 NOW ONLY $2414 TOTAL! BOOK ONLINE AND SAVE! Just Steps from Private Tennis Courts! Private Beach Access and 24 Hour Security!! Property 46: Just Steps from Private Tennis Courts! Private Beach Access and 24 Hour Security!! Beautifully Detailed Decor & Upgraded Kitchen!! Home Away from Home!! Property 47: Beautifully Detailed Decor & Upgraded Kitchen!! Home Away from Home!! Two-Bedroom Cottage with Free Beach Chair Service! Updated Kitchen! Jacuzzi Tub! Property 48: Two-Bedroom Cottage with Free Beach Chair Service! Updated Kitchen! Jacuzzi Tub! Great experience and service! The condo was beautiful, clean, comfortable, and a great location right on the beach! We had a great spring break with our teenage kids. There is so much to see and do that you really don't need to plan. The location was perfect... clean, right at the beach (no crossing roads to walk to the beach) and safe.